Optimize your business as you maximize your bottom line. Avoid service creep by having a direct interface to automated care levels on resident assessments. Reduce data entry errors with automated proration based on move-in and move out dates. 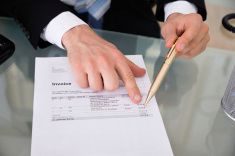 Manage all of your billing in one place. We all know there’s a tendency to leave money on the table in the senior sector. Move-in, transfer and move-out dates don’t always get entered properly or in a timely manner, nor do changes in care. There’s also time and error involved in manually calculating prorations and other calculations. Combine those with all the disparate methods used in any given system which may include everything from spreadsheets to emails to sticky notes and beyond…and keeping accurate records becomes a game of constant catch-up, and of hits and misses. 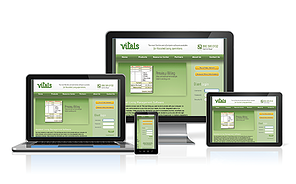 Vitals Billing & Accounts Receivable was created to help you avoid all of that while maximizing efficiencies. Vitals helps you optimize revenue with a direct interface to drive real-time, automated billing based upon move-in, move-out, transfer, census and assessments. Thanks to our connected, integrated Vitals Software Suite, your communities can avoid situations where manual data entry and re-entry with disconnected systems can create serious revenue loss. In fact, Vitals customers show an average of 17% higher revenue after 18 months of Vitals use. Like other Vitals Assisted Living Software solutions, Billing & Accounts Receivable helps you optimize your business as you maximize your bottom line. Ask for a demo today and see what a difference Vitals can mean to your productivity and profitability. Having the care levels from our assessments drive billing and automated proration calculations have helped reduce data entry errors, avoid service level creep, and capture revenue in a timely manner.